Last year we reported how snooker star Peter Ebdon was chalking up for a new career as a pedigree consultant. Now, 12 months later, he is ready to break off and dispense advice to breeders. Ebdon has launched Designer Pedigrees Ltd, which offers in-depth pedigree analysis of mares and recommendations of genetically compatible stallions (cost: £300), the same for stallions and which mares and broodmare sires are most likely to suit them (£1,000) and pedigree analysis of lots from sales catalogues (£40 per pedigree). The 2002 snooker world champion - and breeder of Prestige Stakes winner Sesmen - has a special deal for the coming breeding season of a free pedigree consultancy for two mares per client and a 50 per cent discount on any subsequent mares. So what exactly do clients get for their money? “Breeders will receive a number of recommendations for their mares, usually between four to six stallions, although there is often a single outstanding mating for a mare that I would very highly recommend based on genetic compatibility,” says Ebdon. Ebdon's methods concentrate on paper credentials rather than physical traits. “‎I believe the duplications and reinforcements of superior ancestors and their siblings within a pedigree are far more important ‎than the physical attributes of a particular individual, because top-class horses come in all shapes and sizes," he says. "But it is a consideration, nonetheless. The purist approach to pedigree study presents an interesting take on some of the big talking points in the bloodstock industry, such as the quirks of commercial breeding and the vagaries of fashion. “The key to a successful mating is to do the right thing for the mare,” Ebdon says. “That means not just breeding for the sales ring or to the latest fashionable sire, who might be completely incompatible for her genetically. To demonstrate that Ebdon is not hung up on only a few stallions and sire-lines, and is not distracted by the question of fashion, the list of stallions he has recommended to clients for the 2017 breeding season include: Authorized, Champs Elysees, Famous Name, Fast Company, Helmet, Marcel, Medicean, Sayif, Silver Frost, Sinndar, Sir Prancealot, Sixties Icon, Tobougg and Youmzain. He admits to being surprised by the behaviour of breeders and buyers when he attended the October yearling sales at Tattersalls last year. Ebdon is renowned for the intensity of his game at the snooker table and that clearly extends to the fervour with which he is approaching his new career as a pedigree consultant. He is also known for his strict health regime, including a vegan diet, and he is halfway through a two-year healing practitioner's course at the College of Healing in Malvern. He has now given 100 healing sessions to friends, family and other healers. “They generally last between 45 to 60 minutes and are a combination of both hands-on healing and working within a person's aura," he says. 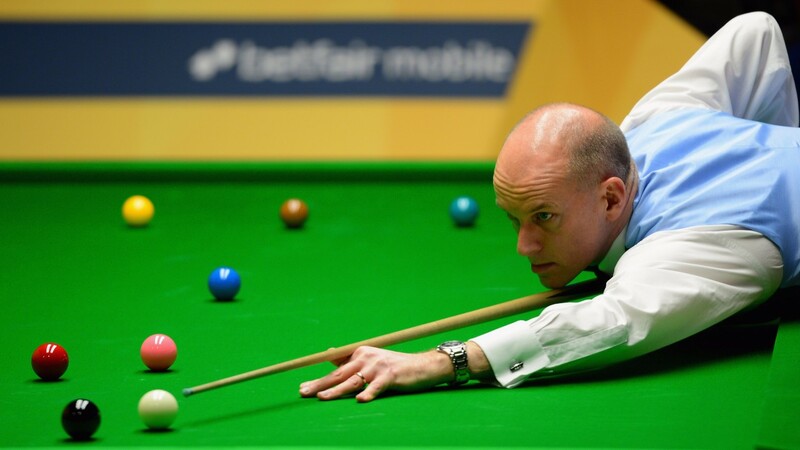 All that, and Ebdon is still competing on snooker's professional tour and has joined the BBC commentary team for major tournaments. “Snooker is now my job, pedigrees are my passion and healing is where my heart and soul reside,” he says, before explaining how on earth he finds time for all three pursuits: “Generally, I study pedigrees and design matings in the morning and in th‎e evening and prepare for snooker competitions by practising during the day. It cannot be guaranteed that Ebdon will provide a very profound spiritual experience when he analyses your breeding stock, but his Designer Pedigrees venture might just be able to rebalance a mating or revitalise a pedigree.